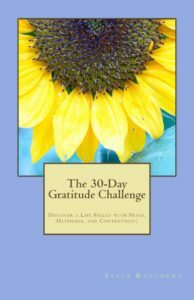 The 31-Day Self-Love Challenge is Now Available!! 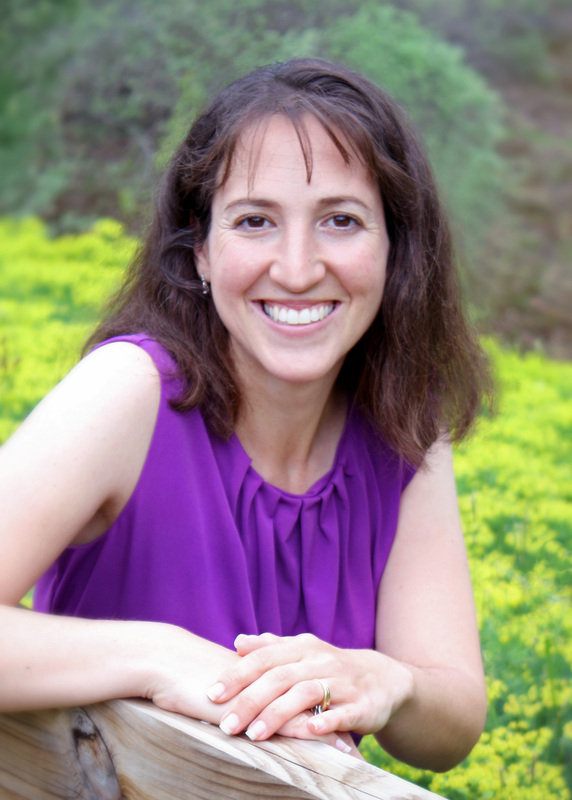 Do you want to live a more authentic, peaceful, and purposeful life? Do you want to live your life to the fullest and use your natural gifts and talents to make the world a better place? If so, I am SO excited to introduce you to my very first book, The 31-Day Self-Love Challenge! This 31-day guided journal will help you learn to recognize your worth, identify your purposes in life, and develop the habits necessary to become healthy in body, mind, and spirit. It is intended for anyone who is starving for a little bit of alone time, or anyone who is willing to dedicate a little more time to get to know and love yourself more. If you know anyone who could benefit from this book, I would be grateful for your recommendation. It is currently available through Amazon here. Also, if you enjoy inspiring quotes or would like to follow my journey as an author, please “Like” my FB Author page Stacy Rancourt. Nothing says summer like fresh strawberries! 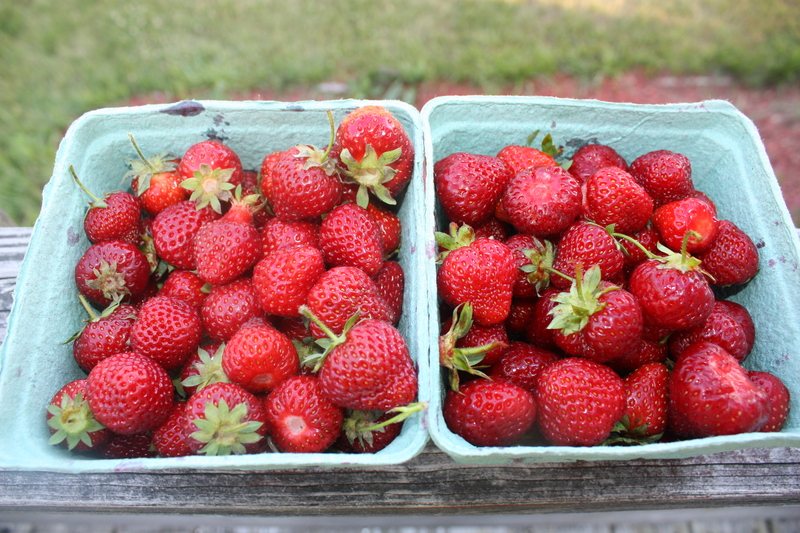 Pick-Your-Own Strawberries is just beginning in our area of Massachusetts this week, and we couldn’t be more excited! Yesterday, my daughters and I just went on our first berry-picking excursion of the season at our favorite local berry farm. I’m sure it will be the first of many because strawberries don’t stay around for long in our house before my girls devour them! Strawberry picking signals the beginning of summer for me, and it is like a little scavenger hunt finding the perfect strawberries to feed my family. A quart of strawberries at our local farm stands cost about $6.50, but if you pick your own and bring your own containers, you can get considerably more strawberries for the same price. 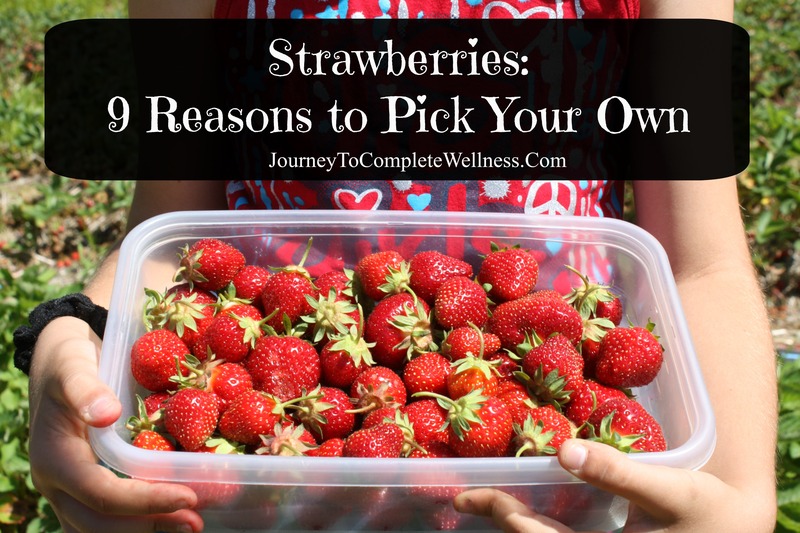 You may be able to get them “on sale” at the grocery store for much less, but the quality is nowhere near that of the strawberries you pick for yourself. Can’t get any fresher than picked right off the plant! I LOVE taking pictures, and strawberry fields are a wonderful location to get some great shots! Keeping your money in the community and helping other local families is always a good thing! 7. Healthier – fewer chemicals. Even if your local farm isn’t “certified” organic, many of them do not spray pesticides directly onto the fruit, especially if they are allowing you to pick your own. Talk to your farmers to find out their exact procedures, but generally in talking with my local farmers I have found that their practices are much safer than that of commercially grown produce. Just being able to talk to the farmer is a benefit in itself. Although strawberries are part of the “dirty dozen” and it is recommended to always buy organic, I would buy local strawberries that are not organic over organic strawberries in the supermarket any day! 8. It’s better for the environment. Buying local reduces your carbon footprint. Make sure to bring your own containers to save money and eliminate the need for packaging. 9. You get to choose the strawberries you like best! There’s nothing worse than paying a premium price for strawberries in the grocery store, only to have to throw away half the container because the strawberries are rotten or not suitable for eating. 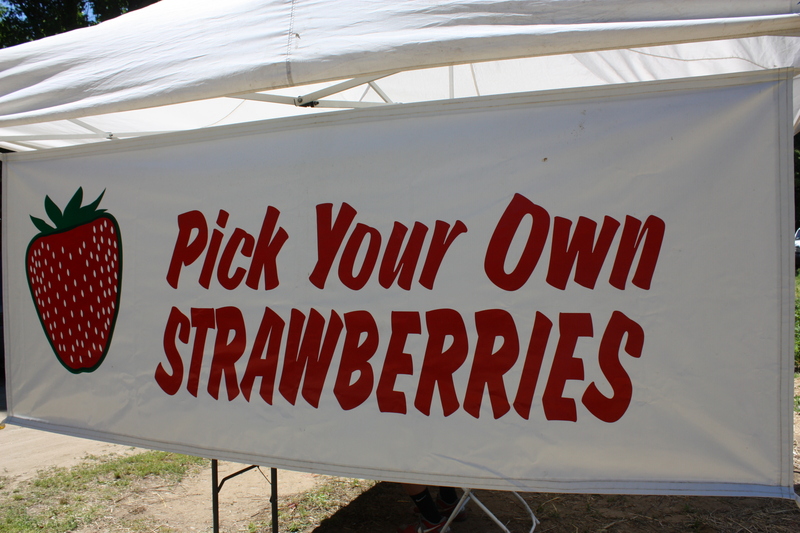 Picking your own ensures that you are only paying for the BEST strawberries. If you’re wondering what to do with all of the delicious strawberries you have picked, be sure to check out my blog post Strawberries: 9 Ways to Eat Them. Note: This was also posted on my blog Journey To Complete Wellness. If eating healthier is one of your goals but you don’t know where to begin, I will share some tips that have helped me along in my journey to eating more REAL foods and minimizing the amount of processed foods in my diet. What IS a REAL Food? Any food that comes from nature and can be purchased without a label is a REAL food (fruits, vegetables, raw nuts, seeds, etc.) REAL foods will help to fuel your body with the nutrients it needs. Ideally, you want to strive to eat foods as close to their natural state as possible. Foods that have been packaged usually have been processed in some way, so you want to choose REAL foods without packaging whenever possible. Many REAL foods are also labeled as SUPERFOODS. I have discovered this excellent resource that lists 50 Superfoods and their benefits. It also suggests healthy recipes to help you integrate these SUPERFOODS into your everyday diet. I always find it helpful to focus on the foods I should be eating rather than those I should not be eating, so I highly recommend checking out that list from skinnyms.com and printing it for future reference. Once you know which foods are ideal to eat, here are some tips to help you incorporate those foods and to minimize the amount of highly processed foods in your diet. 1. Learn to Read Ingredient Labels. If you’re striving to eat healthier, this is the first step I would recommend. If you prefer more variety in your diet than just foods without a label, it is very important to learn to read the ingredient labels on your foods. The nutritional information label can sometimes be helpful, but I think it is much more important to look at the ingredients. If there is anything on a label that you cannot pronounce or you don’t know what it is or where it comes from, you most likely do not want this food to be a part of your regular diet. The same thing goes for foods with a long list of ingredients. When comparing processed foods, you generally want to choose the product with the fewest number of ingredients. A few ingredients you particularly want to avoid include corn syrups, artificial colors and flavors, and hydrogenated oils. Also, be weary of any foods that make health claims on their packaging. For example, I always choose the full fat versions of foods rather than those with the “Fat Free” label. “Fat Free” foods are often a poor choice because additional ingredients generally need to be added to the product to make the food taste good once the fat is removed. Here is an excellent video from 100 Days of Real Food to help you learn to read ingredient labels. 2. Clean out your kitchen/pantry. If your goal is to eat healthier, it would be a good idea to remove all the unhealthy foods from your home. Otherwise, you will be tempted each time you open the pantry. Take everything off your shelves. Discard anything that is expired. Donate anything that you don’t plan to use before the expiration date, and donate all highly processed foods (those with a long list of ingredients or a lot of unpronounceable ingredients.) Oftentimes, we eat food just because it is there. If a food is not in your house, it will be that much more difficult for you to eat it. If you get a strong craving something, you will have to go out of your way to get it. 3. Don’t buy processed foods. It all starts in the supermarket. Don’t buy the junk foods. Again, if you don’t bring it into your house, you can’t eat it. You may have heard these food shopping tips before, but they are worth repeating: don’t shop when you are hungry, go prepared with a shopping list and DO NOT stray from the list, and stay on the outer perimeter of the supermarket. The inside aisles mostly contain the processed foods. If at all possible, go shopping without the kids. Mine certainly have a way of getting me to buy unnecessary (and often unhealthy) items that are not on my list. Also, keep in mind that when you buy a food item, you are voting with your dollar. Vote for to support REAL, healthy foods! 4. Find Healthy Replacements. Find healthier replacements for foods you commonly eat. For example, use REAL butter instead of margarine, use coconut oil instead of canola oil, make your own popcorn instead of buying bagged microwave popcorn, make your own salad dressing instead of the store-bought dressings loaded with high fructose corn syrups, or even start by making your own cookies instead of buying store-bought cookies loaded with trans-fats. 5. Become accountable. Find a buddy who is also interested in eating healthier, or join a support group on social media for people who share a common goal with you. Share recipes and support each other, For example, the 100 Days of Real Food Mini Pledge Program group on Facebook will help you cut out processed foods in 14 weeks. Members share recipes and tips, and they encourage and support each other with their struggles throughout the challenge. 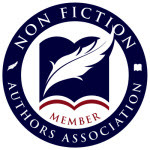 I am also a member of the October Unprocessed community, which is also wonderful and supportive. October Unprocessed is a challenge I participated in for the past two years, and the goal is to go through the entire month of October without eating any processed foods. The challenge was a very inspiring, eye-opening, and educational experience for me. 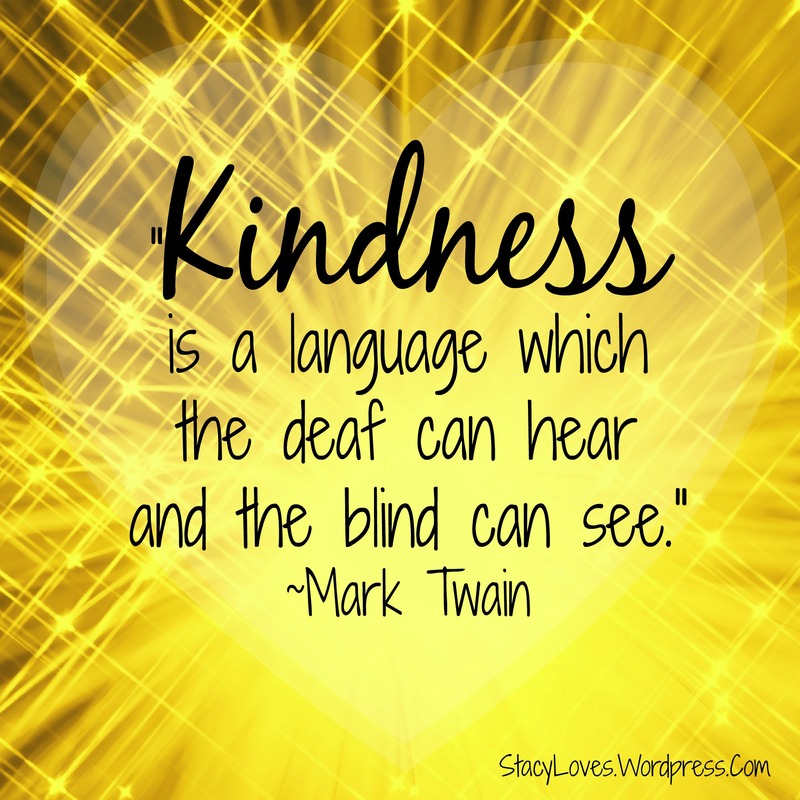 In fact, that is what inspired me to begin this blog! 🙂 I would encourage everyone to participate in October Unprocessed 2015, but don’t wait until then to begin eating healthy. 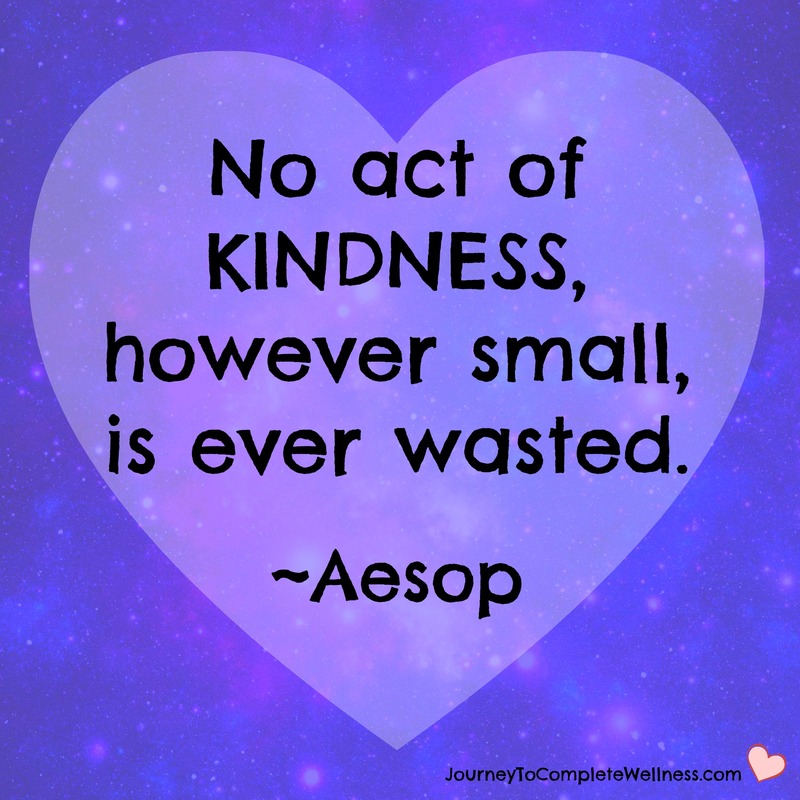 You can start taking small steps today! 6. Track your progress with a blog or journal, or track your nutrition through an app such as MyFitnessPal. For more ideas on how to track your progress, check out my previous post 5 Tools to Track your health and Fitness Goals. 7. Get into the habit of making a smoothie for breakfast every day. A smoothie (or green smoothie if you’re a little more adventurous) is a nutritious way to start the day and to help you get more fruits and vegetables into your diet, and it will keep you full until lunch. Not sure how? Here’s one of my favorite recipes. Adapt it to your liking with your favorite fruits and vegetables. There are so many different combinations you can try! Visit Simple Green Smoothies for more smoothie recipes and tips. My daily smoothie is something I look forward to, and I am so happy I have implemented it into my daily routine and made it a habit. Give it a try, and you may even find that it is an easy way to get more fruits and vegetables into your kid’s diets! 8. Don’t completely deprive yourself of the foods you love. Start slow. Try to find healthier replacements to satisfy your cravings. If you love chocolate, maybe you could opt for a handful of Ghirardelli chocolate chips instead of a full candy bar. Just be careful. It is still sugar, and sugar is HIGHLY addictive. Once you start eating it, you will want more. 9. Become educated. Learn WHAT you are eating and WHERE it is coming from. There are some excellent books and food documentaries on this topic. Click the links for my reviews on the food documentaries Food, Inc, What’s on Your Plate?, Fat, Sick, and Nearly Dead, and Fed Up. If you’re interested in learning about the source of your food, some excellent books I have found on this topic include The Omnivore’s Dilemma by Michael Pollan and Animal Vegetable Miracle by Barbara Kingsolver. Animal Vegetable Miracle also contains some wonderful recipes, and it will teach you how to eat seasonally and how to preserve your food so you can eat from your garden or local farm stand year-round. I have found all of these books and movies to be inspirational, and some of them were even life-changing for me! 10. Find REAL food recipes. Visit my Recipe page on Journey to Complete Wellness for my favorite REAL food recipes, or check out the extensive list of REAL food recipes on 100 Days of Real Food.